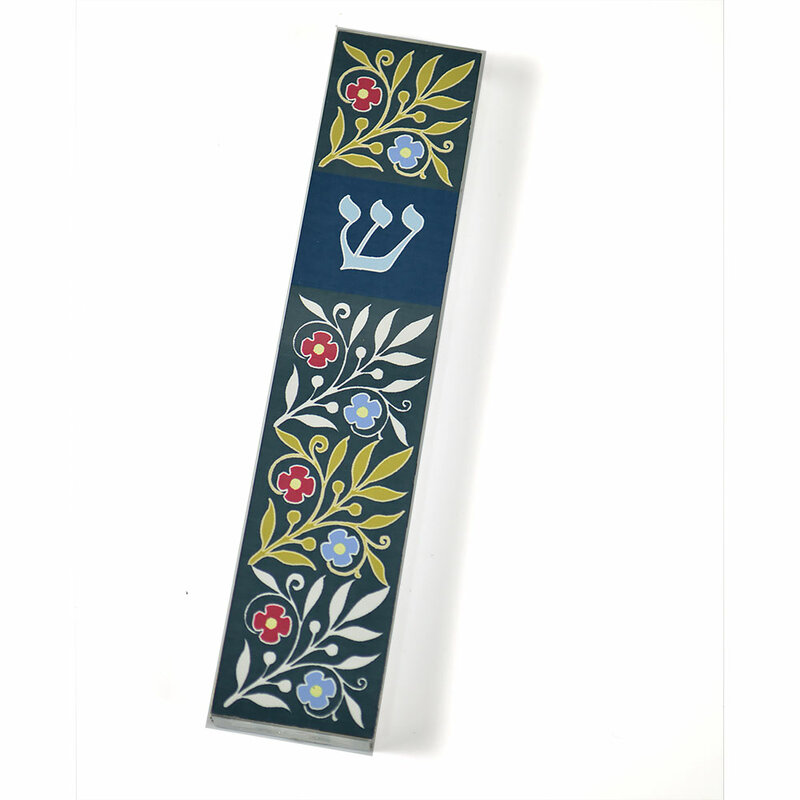 Made In Israel, This Acrylic Mezuzah Has A Decorative Aluminum Front With A Striking Blue Shin In The Center. The Background Is Black In Color, With The Earth Tone Floral Patterns Decorating The Remaining Portions Of The Mezuzah. The Mezuzah Is 5 1/5" Tall. This Mezuzah was a bit larger than I thought it would be, but it is beautiful. I guess I never read the dimensions. Very happy with it, and will place it on the doorpost of my new home.